Metal Earth Studios was born out of a desire to create artistic hand crafted pieces with a sense of strength and feminine beauty. These bohemian pieces are not simply accessories but adornments of self expression, wisdom, balance and inner beauty. 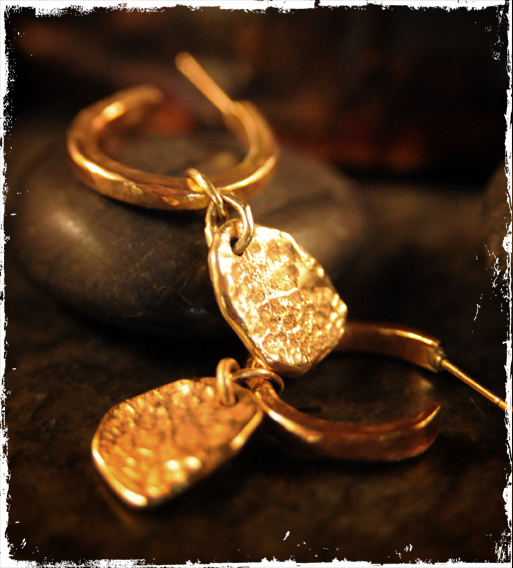 The strength of the metals combined with the organic textures create a sense of power and balance. Jewelry links all women past and present- we are inspired by the power of these raw materials and aspire to make each individual who wears one feel connected to our earth, its elements, ourselves, and the feminine creature.